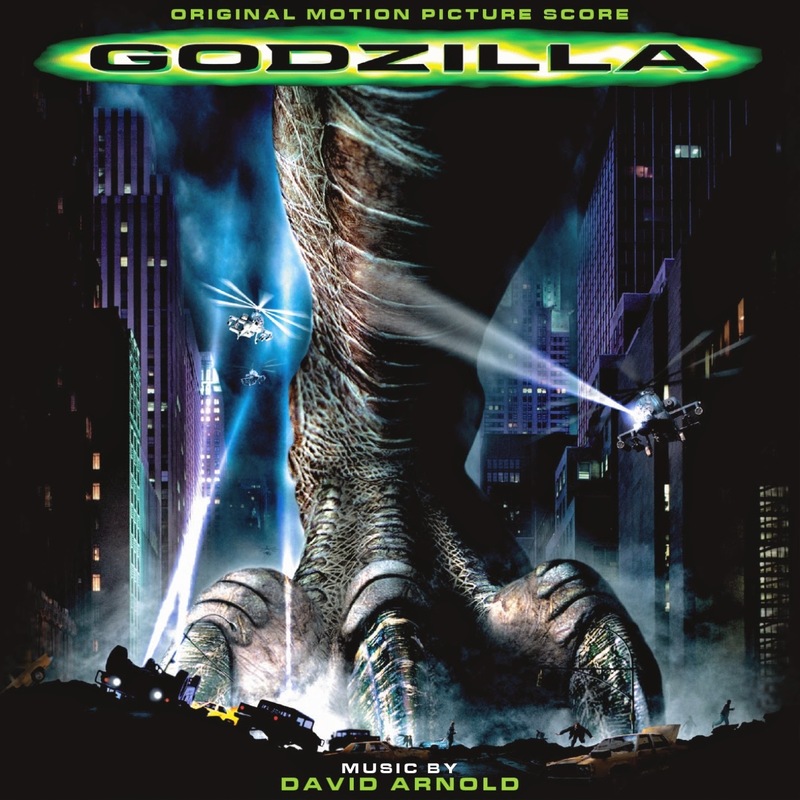 In 1998, following the success of Stargate and Independence Day, director Roland Emmerich and producer Dean Devlin moved to the making of yet another blockbuster: an American take on Godzilla, the famous Japanese monster that inspired a plethora of creatures and disaster movies throughout the twentieth century. 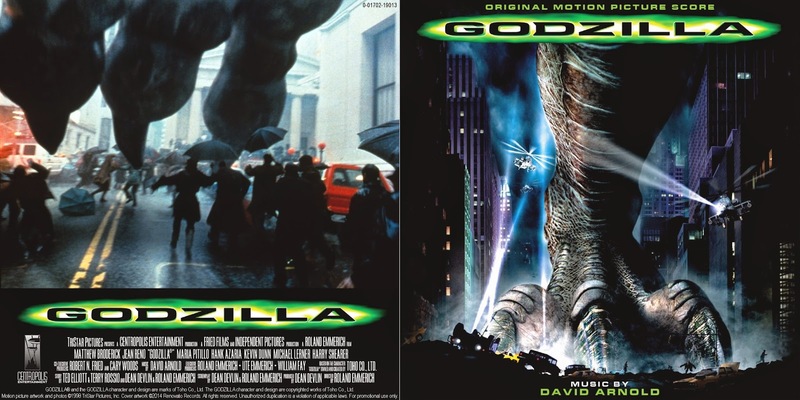 However, in the end, the American version of Godzilla ended up being one of the most hated films in 1998, both by critics and audiences. 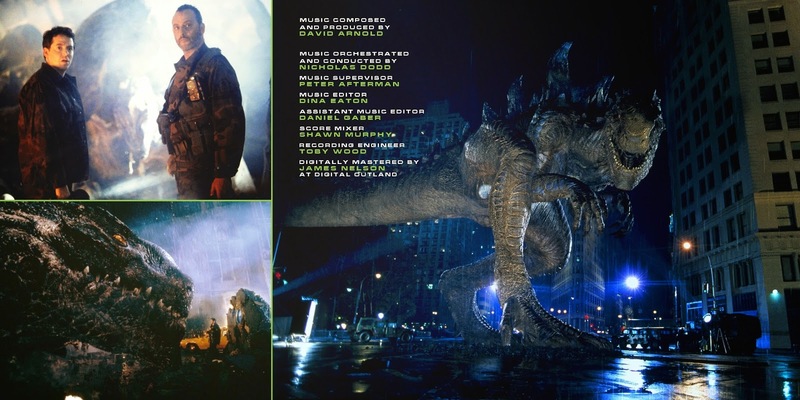 A questionable cast ensemble, a clichéd plot and even the redesign of the creature itself (and its offspring) were all major points of criticism. Nevertheless, the film reunited the filmmakers with composer David Arnold, who at the time was achieving success in the James Bond franchise. Despite being overlapped by constant sound effects, the music for the film is an aspect that has always been praised. Arnold expanded his universe of robust action music, patriotic themes and love motifs. He even throwed in outstanding theme for the titular monster, with full brass and percussion passages that will make your room rumble! At the time of the premiere, the score was set to receive an album treatment by Sony, but it was cancelled due to the film's poor performance. A terrible song compilation album was released instead, which included only four minutes of Arnold's music. A number of promotional and bootleg editions appeared in the black market and those were the only presentation of the score, until in 2007, La-La Land Records released a complete 2-CD set containing most of the recordings. 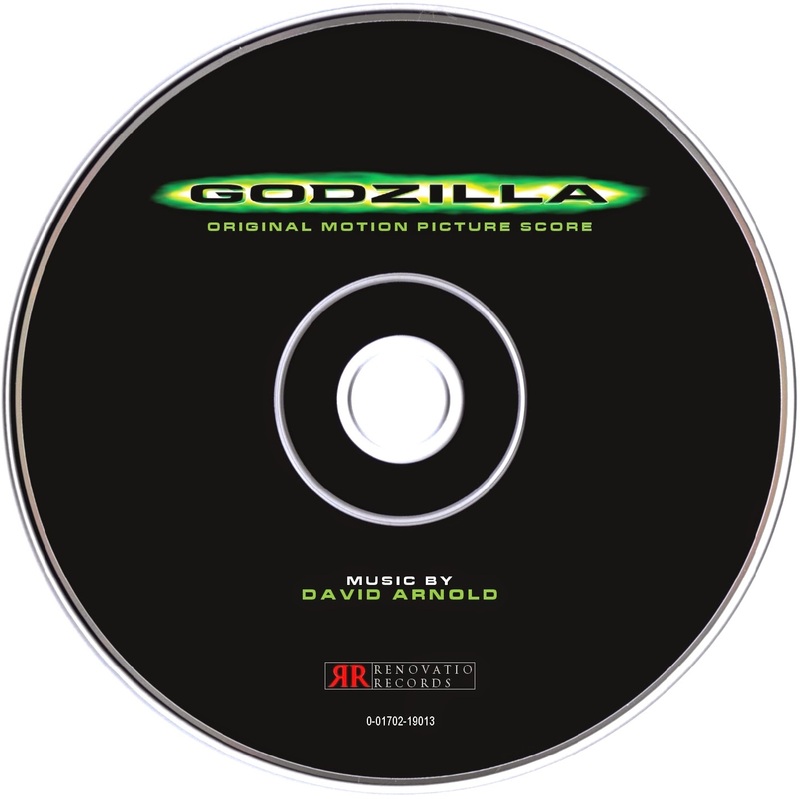 In 2012, Arnold's Godzilla received yet another treatment, this time in the form of a 3-CD set, which included the complete score (plus several alternate cues) and the never-commercially-released album score. Now, Renovatio Records brings you its own arranged compilation that contains the best parts of the score. 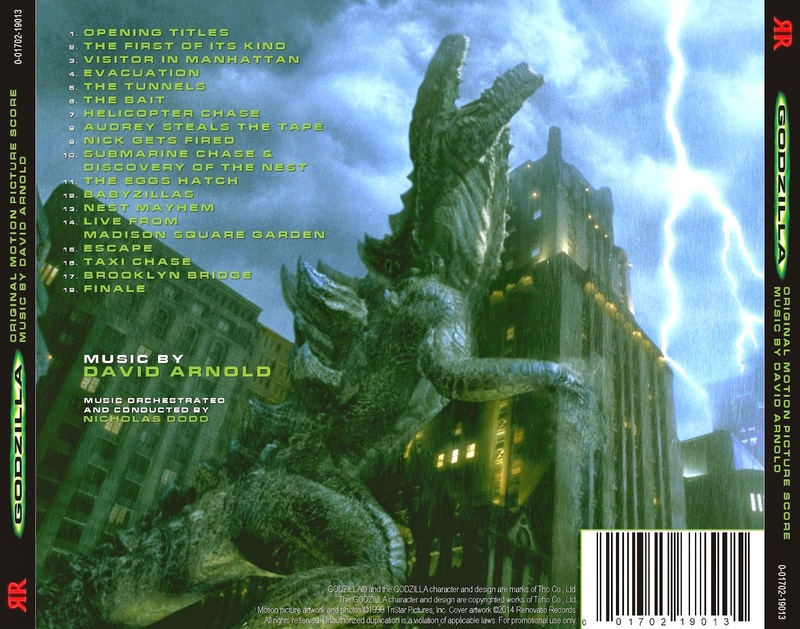 Arnold's effort in the franchise is surely worthy of remembrance, not only as a wonderfully addition to the Godzilla universe, but also as the completion of the Emmerich-Devlin-Arnold collaboration, which was the result of certainly some the composer's best works!